Save 50% on your printing costs ! 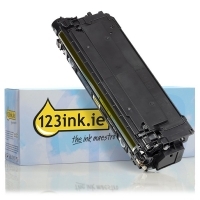 High-quality & reliable 123ink version of the Canon 040H BK black high capacity toner. This toner is made by an ISO-9001 certified manufacturer (so, to the highest quality standards). Capacity ± 14,000 pages (that's 1,500 more than the original).